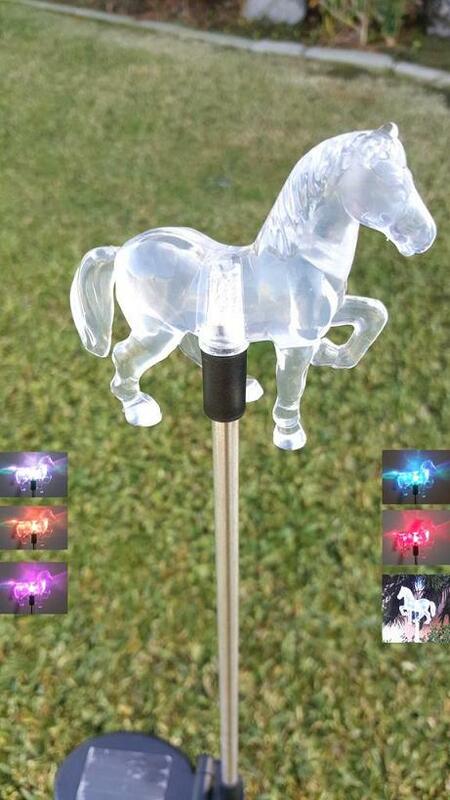 Add charm to your landscape or garden with a set of these solar garden stakes with color changing lights. Each set comes with 2 decorative acrylic figurines, integrated solar panel and Powder Coated Metal Poles. 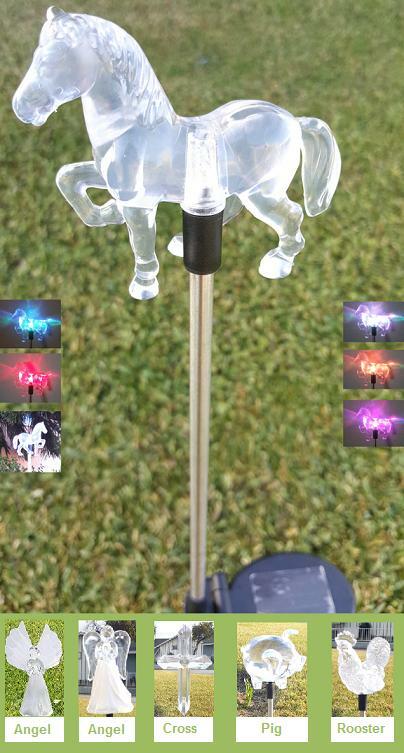 These solar garden stakes will display a spectacular lighting effect at night with an array of color. Easy to install, just simply stake the metal pole in the ground where it will receive at least 6 hours of sunlight a day, then at night the automatic sensor with switch the light on providing light up to 8 hours when fully charged. Choose between one of these 6 figurines: Angel with frosted wings, Angel with frosted skirt, Cross, Rooster, Pig or Horse.